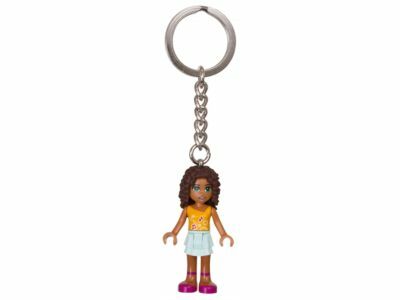 Play and sing with LEGO® Friends Andrea every day with this key chain featuring an authentic mini-doll figure with sturdy metal ring and chain. Price is 50% below the initial Lego retail price, a € 2.50 discount! The Keychain Andrea (853548) Lego set is available from the sites below. However, they do not offer delivery to your selected region.